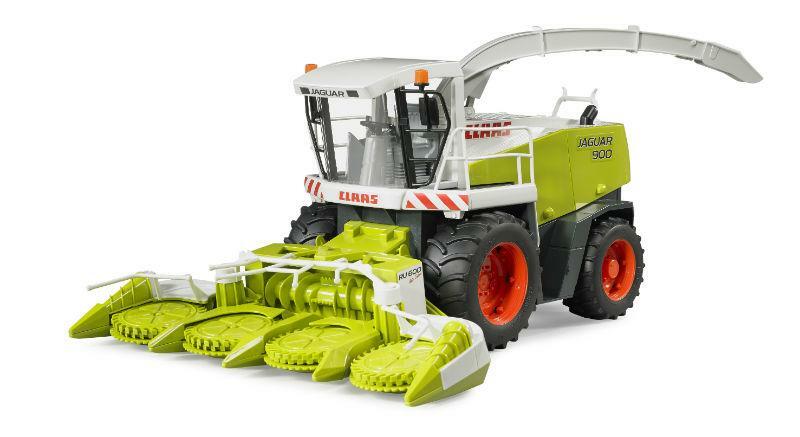 To add to the fun of playing, it can be combined with all the Bruder tractors and the Claas Jaguar 900 field chopper (BRU02131). What is more obvious than to translate an impressive large-area mower of this type into an equally impressive model that is convincing with its realistic functions and attention to detail. This is why all 3 mowers have oscillating suspension to compensate for uneven ground. The mower has rotating conditioners. The three-way mower can be split for front and side use on the tractor with the fixture so that the side mowers can be folded upwards for transporting. 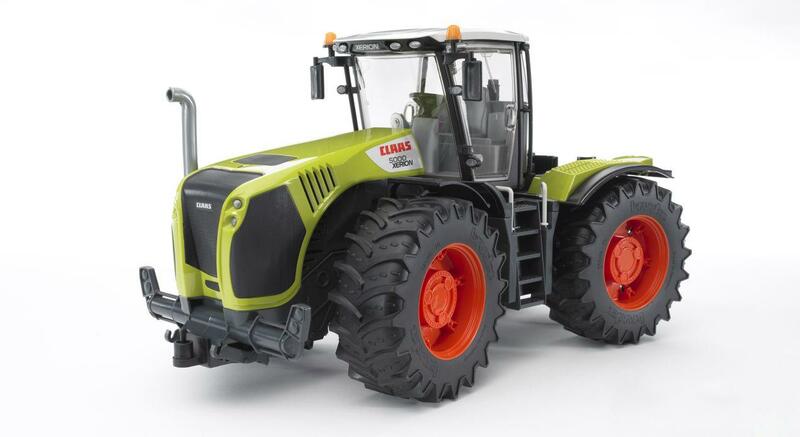 The use on the Claas Jaguar is fully frontal with the aid of an enclosed adapter; the mowers can be swivelled forwards and raised for transporting on the road. 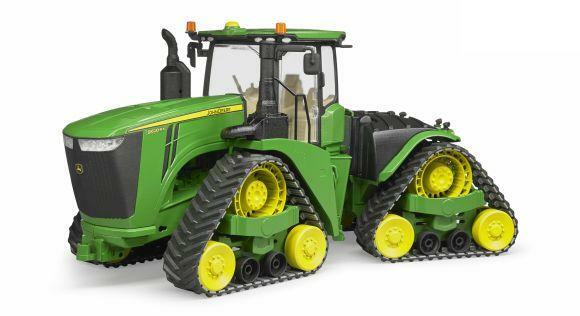 We now need a Claas tractor! It does not fix on to any of our John Deer tractors.